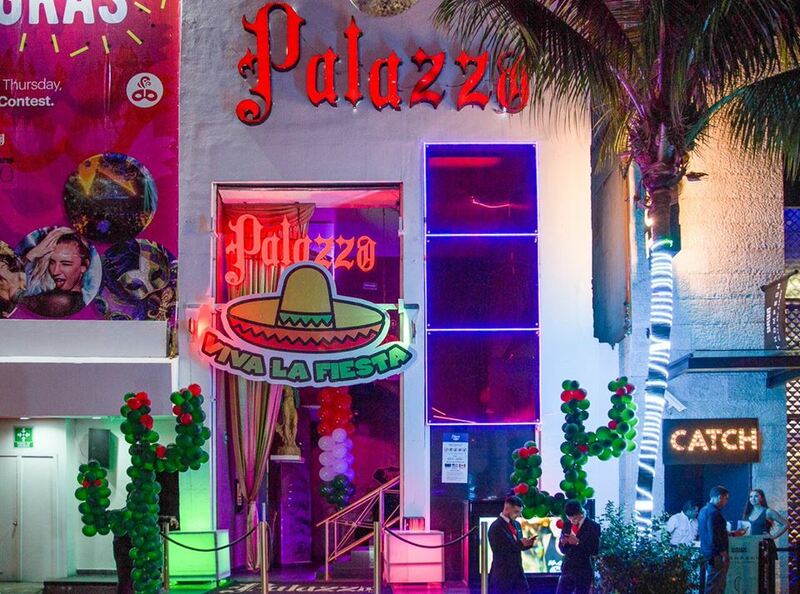 At Palazzo Disco you can enjoy all the glamour of the nights in Playa del Carmen. 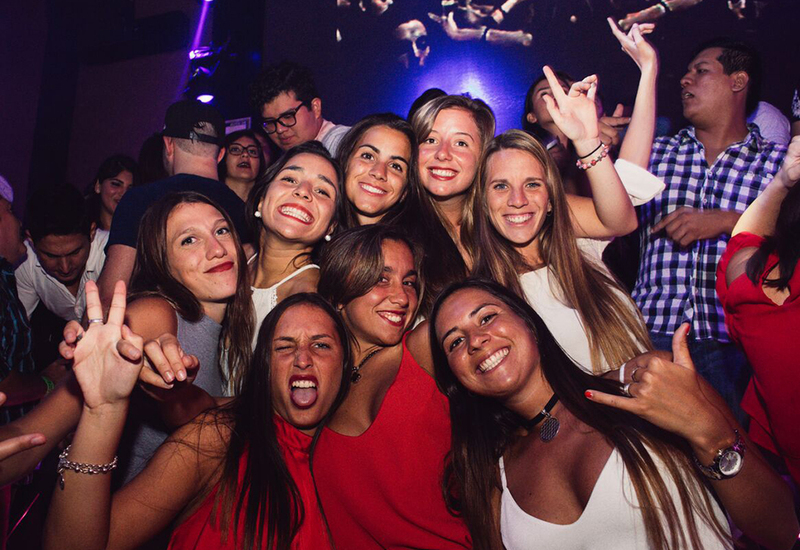 This nightclub is located on the famous 12th avenue, in the heart of the city and is the favorite venue of all party lovers to celebrate until dawn. A roof full of disco balls, elegant decoration, chandeliers and an electrifying atmosphere distinguish Palazzo Playa del Carmen. If you like to dance, this is the club for you! You will listen to only the best music and find the dance floor always full, due to which fun is guaranteed. Thursday | The weekend in Playa del Carmen starts off with a masquerade full of dancers, games, contests and Carnival madness. 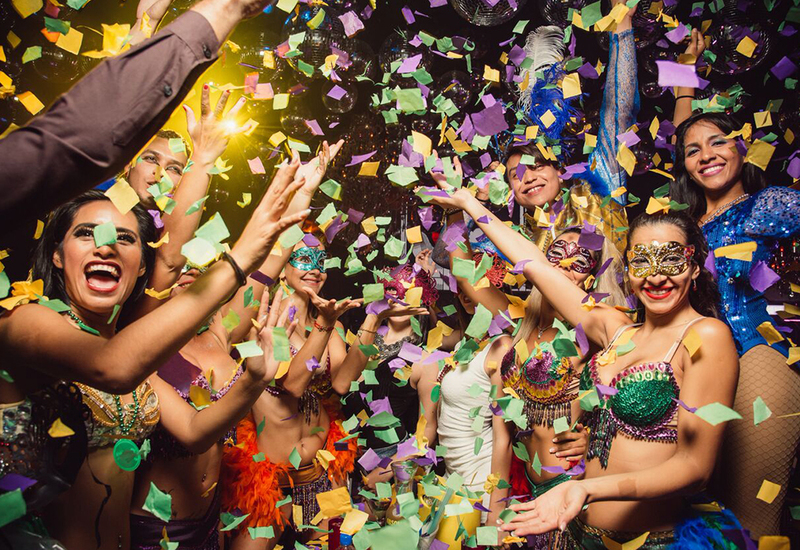 The Mardi Gras at Palazzo is a party you should not miss while on vacation in Playa del Carmen. Enjoy the party! Friday | The favorite day of the week becomes even brighter with the Neon Party! On Fridays at Palazzo Playa everything and everyone shines in neon colors, especially the dancers. Don’t miss this party which drives all partyholics crazy! Saturday | The Azteca Night is waiting for you! Each Saturday at Palazzo you can enjoy an incredible atmosphere, the best music and a show of the Aztec which includes a surprising fire dance that leaves everyone excited and ready to continue the celebration. Dare to enjoy this party! 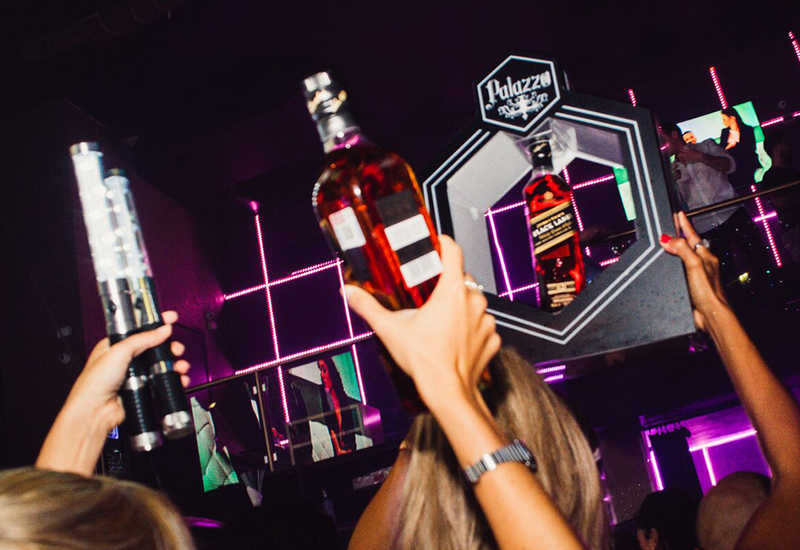 If you are already convinced that this is the best option to celebrate in Playa del Carmen, book your Open Bar tickets or table at Palazzo Playa del Carmen and prepare yourself to dance all night.